celcius. 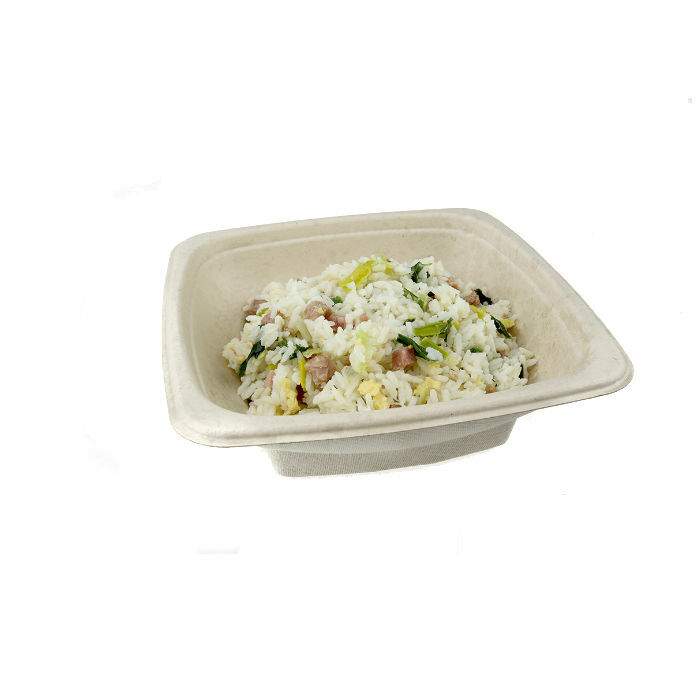 Once used the base is fully and quickly compostable and so can even be thrown in the same waste bags as the food with no need to separate. 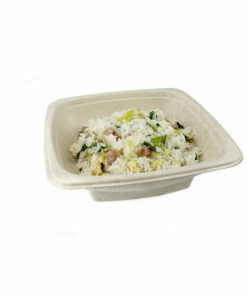 The 750cc compostable salad plate can even go in the microwave. It is an ideal partner for organic meals boosting its environmental credentials. These salad pots are leak proof and rigid. Whilst held in the hand you are protected from burns or scalds due to the heat resistant material, therefore making it an ideal container for hot food to go. The design of this salad/pasta container is so that the customer can comfortably hold in one hand and they are stackable and liddable. The lid is bought separate. To order the lid please order the lid code PP750L. 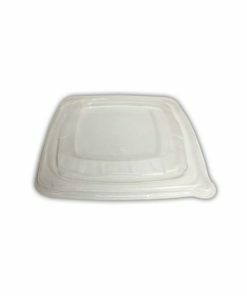 The lid is made of PP and vented so that it can also be microwaved. 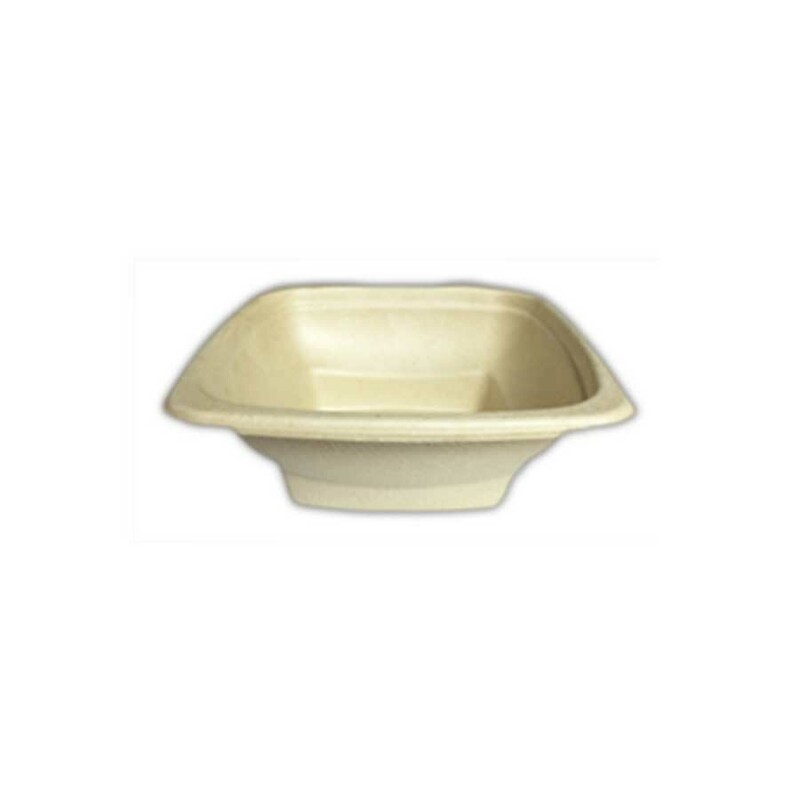 This 750cc Compostable salad plate has been manufactured in response to the growing demand for solutions with greater respect for the environment, it is part of the be-Pulp brand made by Sabert. 750cc compostable salad plate is made from bagasse (sugar Cane), a natural material which is both abundant and renewable with no additives. The range of bagasse products offers many very practical options all of which can significantly reduce your carbon footprint. The entire range is certified for composting according to regulation EN 13432.